Employers would be wise to consider the terms of an employee’s contract before administratively suspending him or her. 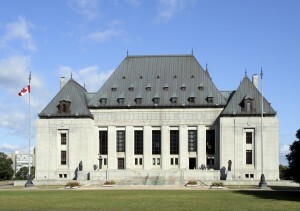 The Supreme Court of Canada held that administrative suspensions must be both reasonable and justified. Also, employers cannot use an administrative suspension to get around the fact that they no longer intend to be bound by an employee’s employment contract. In Potter v. New Brunswick Legal Aid Services, 2015 SCC 10, the Supreme Court of Canada ruled that an employee’s administrative suspension with pay amounted to constructive dismissal. Mr. Potter was the (non-unionized) Executive Director of the New Brunswick Legal Aid Services Commission on a fixed seven-year term. Four years into his contract, Mr. Potter and the Commission began negotiating a buyout of his contract. Mr. Potter then took medical leave and delegated his powers and duties to another individual. The Commission later decided that if the buyout negotiations were not resolved by a certain date, then it would dismiss Mr. Potter for cause. It did not advise Mr. Potter of this decision. Then – again without Mr. Potter’s knowledge – the Commission recommended to the New Brunswick Ministry of Justice, the entity that appointed Mr. Potter in the first place, that it dismiss Mr. Potter for cause. It also advised Mr. Potter not to return to work, but that he would nevertheless be paid until further notice. Mr. Potter thereafter asked the Commission for clarification, but his request went unanswered. Eight weeks later, Mr. Potter commenced an action seeking damages for constructive dismissal. The Commission defended on the basis that Mr. Potter had resigned and thus, ceased paying salary and benefits. At first instance, the trial judge held that the Commission’s actions did not amount to constructive dismissal: it had statutory authority under the New Brunswick Legal Aid Act to administratively suspend Mr. Potter with pay. In addition, by commencing a constructive dismissal claim, Mr. Potter repudiated his employment contract and had thus, resigned. The New Brunswick Court of Appeal dismissed Mr. Potter’s appeal. It held that the circumstances did not support a finding of constructive dismissal and also agreed with the trial judge’s finding that Mr. Potter terminated his employment by commencing an action for constructive dismissal. The Supreme Court allowed Mr. Potter’s appeal and awarded him wrongful dismissal damages. Mr. Potter’s administrative suspension with pay for an indefinite period of time was a unilateral change by the Commission. It did not have express or implied authority to suspend Mr. Potter, which meant that the suspension was a breach of his employment contract. The Commission failed to establish that the suspension was reasonable or justified. The Court applied the newly-created “duty of good faith contractual performance” from its recent decision in Bhasin v. Hrynew, 2014 SCC 71, noting that good faith “means being honest, reasonable, candid, and forthright”. We wrote about the duty of good faith in our Litigator post: It’s no lie: Supreme Court recognizes contractual duty of good faith. The Commission failed to act in good faith and was not forthright with Mr. Potter in that it failed to provide him with any business reasons for his suspension. The suspension substantially altered an essential term of Mr. Potter’s employment contract and it was reasonable for Mr. Potter to have perceived his suspension as a substantial change to his contract. The Commission made matters worse by not responding to Mr. Potter’s demands for clarification. Because it made a finding that Mr. Potter was constructively dismissed, the Supreme Court did not need to decide whether Mr. Potter had resigned by virture of commencing his law suit. if the employer’s unilateral change constitutes a breach, whether the breach substantially altered an essential term of the contract. Whether a breach occurred is determined on an objective standard. Circumstances where an employer has express or implied authority to make a change, or an employee consents to such a change, will not amount to a unilateral change or breach. An employer’s change must be detrimental to the employee to be considered a breach. Further, a breach will be a substantial change to the essential terms of the employment contract where, “at the time the [breach occurred], a reasonable person in the same situation as the employee would have felt that the essential terms of the employment contract were being substantially changed”. The onus is typically on the employee to prove constructive dismissal, except in the circumstances of an administrative suspension. In the context of an administrative suspension, the onus shifts to the employer to demonstrate the suspension was reasonable or justified. Where the employer is unable to do so, the suspension will be considered a breach. The onus then shifts back to the employee to prove that the breach substantially altered an essential term of the contract. The second branch of the test requires the court to consider whether, in light of all of the circumstances, a reasonable person in the employee’s position would conclude that the employer no longer intended to be bound by the terms of the employment contract (and not whether the employer actually intended to no longer be bound by the employment contract). a series of acts that cumulatively demonstrate the employer no longer intended to be bound by the employment contract. good faith by the employer, including the demonstration of legitimate business reasons. Failure to provide an employee with any reasons for an administrative suspension in most circumstances will cause problems for employers.